Britain could be on the brink of another mortgage drought, the Bank of England has warned, as fears grew of a 'second credit crunch'. The alert will worry millions of homeowners who need to take out a loan, young people hoping to finally climb onto the property ladder and anybody trying to sell their property. Fears were triggered after the Bank published research today that asked the country's mortgage lenders about their plans for the next three months. Sounding the alarm, the lenders said they expect the number of loans will plunge. Banks and building societies blamed the clampdown on their fears that 'wholesale funding market conditions might tighten in that period', the report said. I have to save I'm rather enjoying all this bearish MSM! It's very refreshing. I wonder how sentiment to home ownership would change if the government banned the use of the term 'climbing onto the property ladder', and gave custodial sentences to any journalists found using the term. The word 'ladder' in the housing sense should be banned! Don't you need the first one (credit crunch) to end before you can have a second one? Lots of pro HPC comments below that article - get over there HPCers and green arrow them. bump for the evening HPC shift. Isn't there a "permanent successor" to the SLS called the Discount Window Facility where lenders can borrow from the BoE for a year at a time on similar terms to the SLS? Obviously it's not as good for lenders as it's for one year rather than three, but it still seems remarkabkly generous compared to what the other CB's are offering their lenders. It seems strange though that bansk are making such a fuss about the ending of SLS. Maybe because they want somethign even better than the DWF? 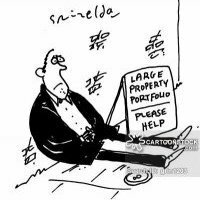 Quite frankly, the housing market started to slide, the government did everything in its power to prop it up, included ZIRP and SLS. If the government doesn't extend SLS, I'd be rather surprised. They also have the idea that a crash in house prices would reflect badly on them (to the majority, not HPCers). I'm actually surprised I haven't heard any mummurings of an extension. Is it cos they ain't allowed to under E.U. law or sumthin'? Edit P.S. By "They also" I mean the new government. This is a thinly disguised HPI ramping article. Quick - BUY NOW - because if you don't you won't be able to get a mortgage later. I spent today wandering around town looking for a bank to put my savings in. All the interest rates on offer were very low, below 0.5% in many cases. Two year bonds just struggled to offer 2.5% net. Yet all the Banks were full of adverts for their low interest rate mortgage offers. I came to the opinion that they must have plenty of funds and are just not interested in savers. Why not put savings rates up and also mortgage rates to pay for it?